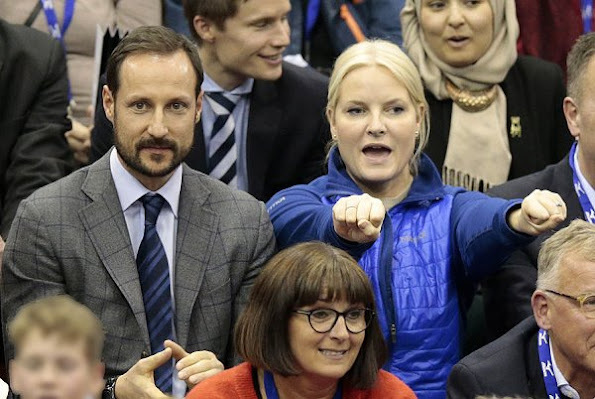 Crown Prince Haakon and Crown Princess Mette-Marit of Norway watched Men's Volleyball Cup 2017 Finals match played between BK Tromsø and Viking TIF at the Ekeberghallen Arena on January 14, 2017 in Nordstrand. 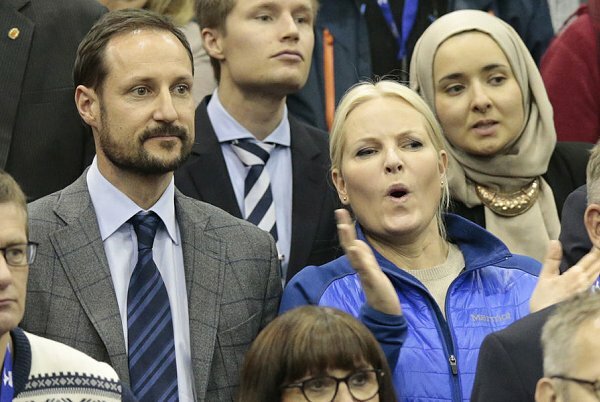 Kind of a weird contrast between Haakon and MM, he's dressed up and she's casual. I think she's wearing the more appropriate clothing, for once. Most of the men in the audience are not dressed up, and besides, his jacket and pants clash with each other. I think MM looks fine too see nothing wrong with what she's wearing, everyone else is also casual. Chelsea, that's exactly what I thought! 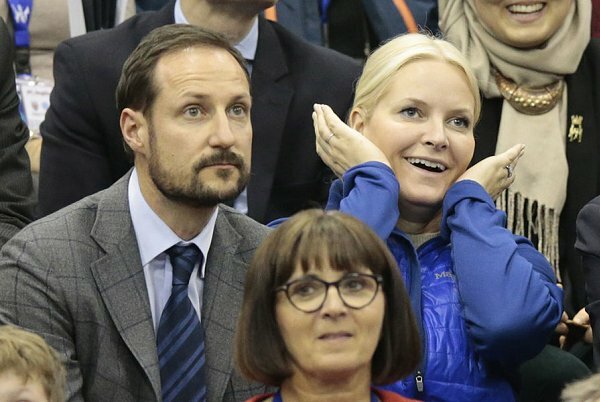 Maybe he had an engagement prior and they met up for the game? I agree with Chelsea, but I think that you may be right. Some of the other men are dressed up as well. Maybe a kind of meeting before the game. 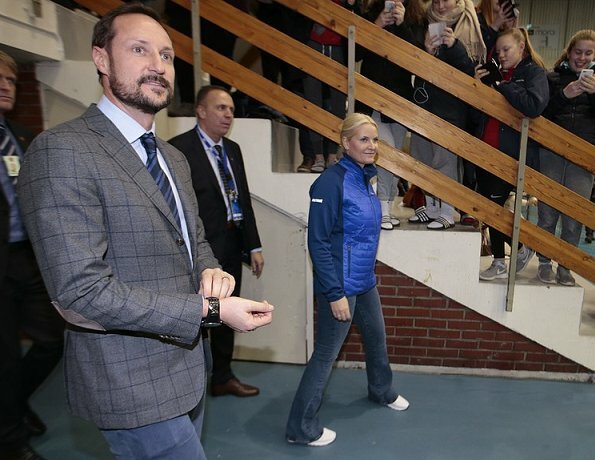 She should wear that beautiful shade of royal blue (front of the jacket) more often. It seems to be made for her. Looks like Haakon is wearing jeans. He should have lost the tie. He is so good looking.MM looks nice. MM looks especialy good on such less conventional occasions, and sporty clothes suit her. MM looks good, but I don't like her behavior on this occasion. She married a crown prince, and after all these years I expect more of her. Crown prince Haakon looks rather uncomfortable about it all. He is a dashing prince though!